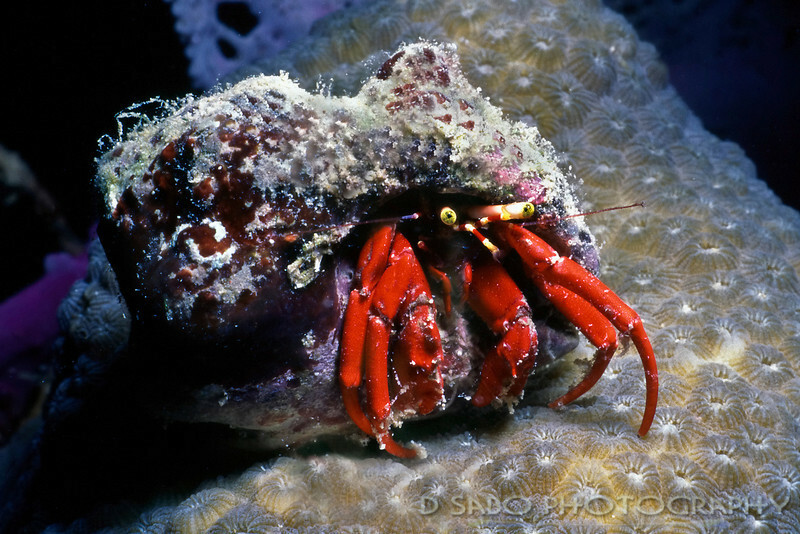 "Have House will Travel" A red hermit crab spotted on a night dive off of Nevis, the sister island to St. Kitts. Hermit crabs are unique in that they must find and use a shell from another creature. A hermit crab carries this "borrowed" shell around with them, and the shell protects their soft abdomen and holds and regulates moisture within the shell (important for the function of the gills for breathing). Some hermit crabs will change shells often while others like the Ecudorian hermit crab will stick with the same shell for many years.